What Food sources nutrition intakes do carp need? 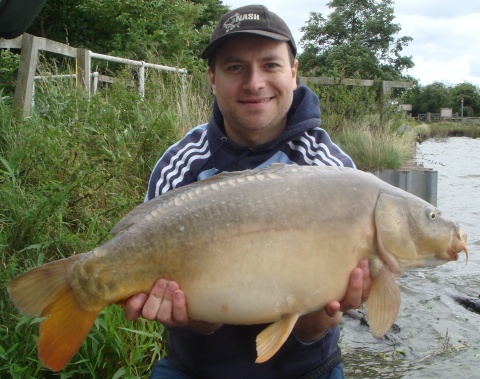 Providing good nutrition quality in your bait can lead to more captures large carp! Proper nutrition for a carp is very important for its longevity and vitality. Also, understanding the nutritional requirements for carp help fishermen to increase their rate of catches. Carp are affected by the seasonal changes because they are cold-blooded. Being cold-blooded means that the fish's metabolic rates change along with water temperatures. What Nutrients does a Carp Need? Like every living creature, a carp needs a well-balanced diet to thrive. Carbohydrates, proteins, healthy fats, fibre, minerals and vitamins all need to be taken in at appropriate levels. And also like all animals, if a carp takes in too much unhealthy fat, its liver may become fatty, and then its bodily systems will not function properly - and it could end up bloating and develop seriously illnesses. There is also a consideration of "particle preoccupation". Every carp has a sweet tooth, and certain substances, including peanuts, can cause a carp to become obsessed and develop poor eating habits which may eventually lead to poor health. How Does a Carp Know What it Needs to Eat? Nature is miraculous. Many animals that live wild have a wonderful ability to judge available food sources as healthy or unhealthy. Like a dog eating tall grass, a carp is able to discern which food types contain nutrients that it is in need of. Carp also have a tendency to hone in on food sources that contain high nutritional value (HNV). The concept of HNV was the logical basis for the bait engineering processes of the 1970s. This caused traditional baits including bread to be looked upon as less effective. Baits containing high levels of protein began to be used frequently instead. Protein affects carp like it does all animals; it provides building blocks for maintenance and growth of their cellular structures. Differing chains of amino acids are synthesized by carp to produce the specific proteins that they require. Other amino chains are provided for the carp through the foods that it eats naturally. During the HNV years, carp bait was manufactured to contain between 70 and 80% protein. Current estimations state that a carp cannot efficiently make use of more than 40%. Also, as with human beings, when lacking essential fats, a carp can also break down proteins for energy provision. An effective nutritional profile for any animal must contain appropriate levels of essential fats. Of course, there are no animals known that thrive on chronic high fat diets. In fact, excessively unhealthy fat consumption for too long will eventually kill even the hardiest creatures. Concerning carp bait, oils from certain types of seeds and other fish are added at roughly a 5% concentration level to provide appropriate fats. Every successful carp needs to be energized regularly by carbohydrates. Carbohydrates are basically sugars that provide fuel. When an excess of carbohydrates is introduced into a carp's system, they can be stored as fat tissue to help the carp make it through the cold winters when they are less active. A carp has a rudimentary digestive tract and has difficulties digesting carbohydrates that are more complex including cellulose. That is the reason why carp are notorious for their sweet teeth! A comprehensive spectrum of minerals and vitamins are necessary for every carp. Various underwater plants and other food sources provide these. Calcium and iron are specially favoured by carp. And, again as with humans, fibre is quite necessary. Although the digestive system of a carp is a simple one, fibre is still required to prevent constipation. Additionally, too much fibre results in food passing through the system too quickly and not allowing proper nutrient absorption. Cyprinus carpio (carp) are both omnivorous and opportunistic when it comes to eating. They possess a sharp sense of smell and use their snout-like noses to stir up the bottom of ponds and create turbid water. Intelligent and versatile, carp have the ability to grow very large and reproduce very effectively even in environments that present constant changes in available food sources. Carp are able to find various food sources, including loads of invertebrate life forms, at all levels of water. From muddy pond bottoms to the surfaces, carps will eat both animals and plants, from microscopic phytoplankton to oxygenating weeds, other fish, bugs and whatever else it can fit into its mouth that it senses may have some nutritional value. If it doesn't like it, it will spit it out. That's why carps are often called the "pigs" of every pond. Every carp pond is in a constant state of flux concerning its available food supplies. Day to day changes create an intricate system of food intake choices. Carp are able to thrive in almost every pond environment. Whatever is available to eat there, they will eat it. They are also able to be very successful at breeding in almost every environment. The carp is one of the most versatile and adaptable fish on the planet. It is incredibly dynamic and will regularly find its way to remain healthy somehow. Carp's dietary needs needs to be replicated inside a bait for continued success in catching carp!